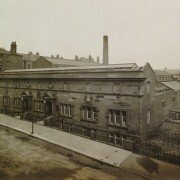 2019, Govanhill Baths Community Trust is celebrating the last hundred years of the Baths and Govanhill. A series of commissions, workshops, events and exhibitions are planned over 10 weeks from the anniversary onwards. 28TH FEB – 6pm – Launch of ‘Before the Bikini to the Burkini’, an exhibition showcasing the swimming costumes over the last 100 hundred years worn by users of the facility. Swimming costumes designed and made by Amelia Rowe and Gabby Cullen, in association with Rags to Riches. Exhibition runs until 27th March. 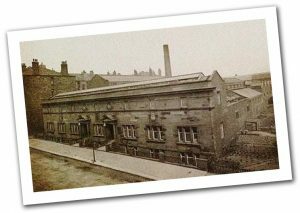 28th FEB – 8th MAY 2017 Govanhill 1917 – What was it like? What was Govanhill like c. 1917, what was Glasgow like? We present a multimedia exhibition which looks at the demographic, including the Irish, Jewish and Italian communities and considers: housing; transport; industry; schools; cinemas and other leisure activities of the people of that time. 03RD APR – 6pm – Launch of a specially commissioned banner to commemorate the hundred year history of Govanhill Baths. Invest in Govanhill Baths Community Shares! Community Shares (also called ‘withdrawable shares’) are ideally suited to community-focused organisations. Unlike shares in a typical company they cannot be sold, traded or transferred but can be withdrawn after a set period of time (subject to society rules). To find out more, watch this short video from Community Shares Scotland. We are offering investors interest at 3% and have applied for tax reliefs, which if granted, will enable UK income taxpayers to reclaim some of what they have invested back in their tax return. The first of these would be available to the first £150,000 of investment by individuals, who would be able to claim 50% of what they have invested. Further tax breaks for the remainder of the investment would be worth 30% to investors. Please check back here for future updates and see our Share Offer document for further details. We hope you’ll dive in with us and help complete the journey of our beloved Edwardian Bath and Washhouse to true community-ownership, where the people who care about Govanhill Baths the most, will own and protect them. Please remember, these Community Shares are available for a limited period only, up to 22 October 2017. You can also invest by sending a cheque with an application form but we urge you to use Crowdfunder, as, if we are successful in getting approval from Big Society Capital (details below), they will match the Big Society Capital amount only against investments made on Crowdfunder. to reach our minimum target. To request an application form please call 0141 433 2999.
https://www.govanhillbaths.com/wp-content/uploads/2014/12/Govenhill-Baths-alt-Logo.png 0 0 editor https://www.govanhillbaths.com/wp-content/uploads/2014/12/Govenhill-Baths-alt-Logo.png editor2017-02-07 10:56:472017-09-25 14:05:49Invest in Govanhill Baths Community Shares! 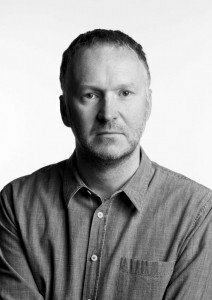 The Govanhill Baths Community Trust (GBCT) are delighted to announce that they have commissioned artist Nathan Coley to develop ideas for an artwork that will form part of the physical fabric and social history of the building in its next phase of redevelopment. Support from Creative Scotland will enable Nathan to carry out an intensive period of research and development, immersing himself in the life and work of the building and its community. 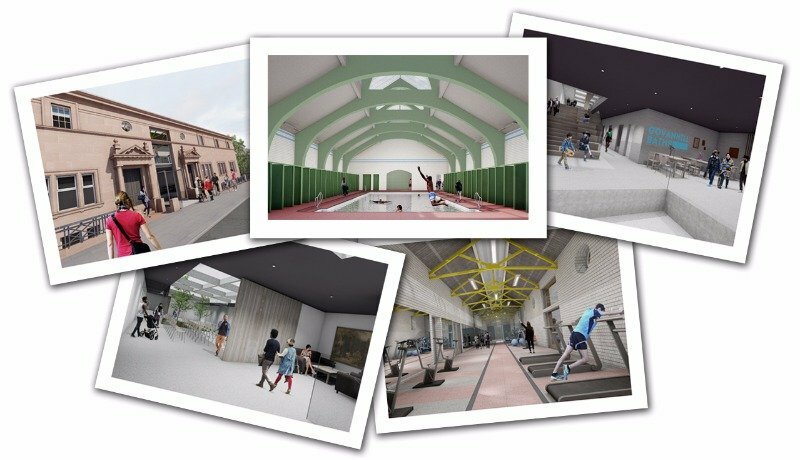 Sixteen years after Govanhill Baths was closed by the Council in the face of massive public opposition, the GBCT have secured funding to redevelop the building as a Wellbeing Centre, incorporating the refurbishment of two of the original pools. 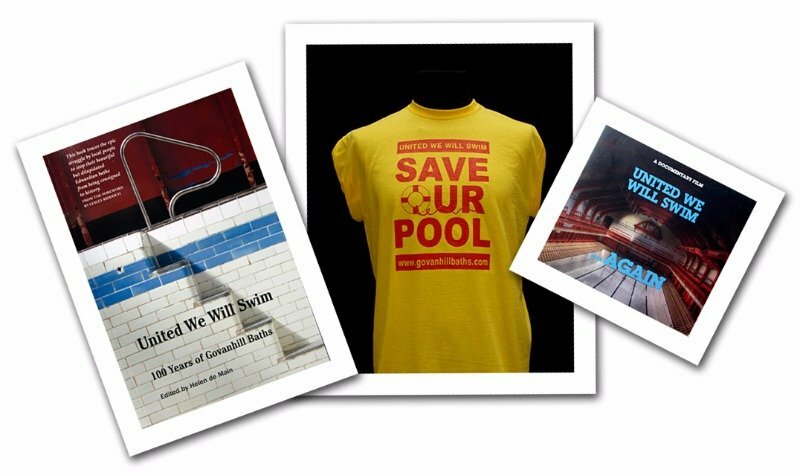 This commission builds on a significant history of creative activity that has been embedded in the work of the Govanhill Baths Community Trust from the outset and used to engage, communicate, delight, agitate and celebrate the struggle to reopen the Govanhill Baths. The arts and cultural activities have always played a significant role in our history and also in our current programme delivery. 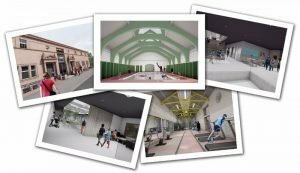 Govanhill Baths is now considered a major artistic hub attracting local and international artists and arts events as well as delivering popular community based activities. Nathan, a turner prize nominee, is internationally renowned and has produced site-specific sculptures for a wide variety of contexts. He also lives locally and has a personal connection to the building. He is excited about working with the Trust and contributing to the redevelopment. 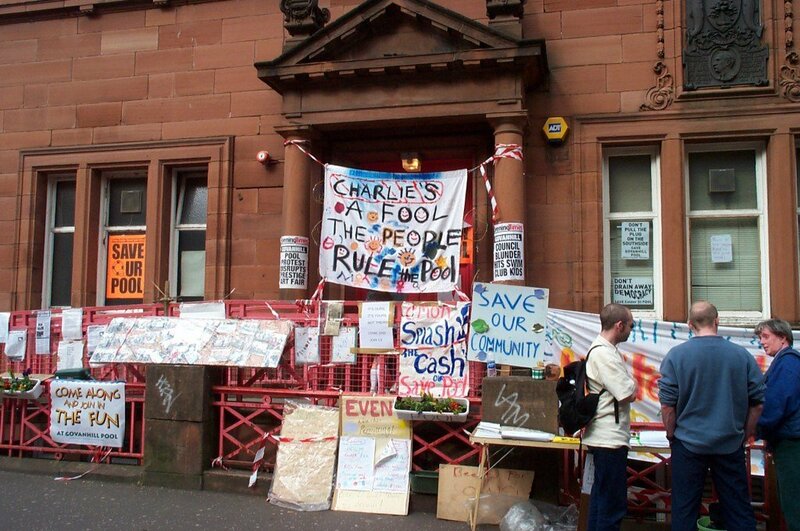 “I learnt to swim in Govanhill Baths 30 years ago, and lived in the area during the early years of political stand-off and demonstration. Politics, community and culture are always a potent mix for me, and I’m delighted to be part of the baths future. I’m looking forward to making something potent and memorable for the redevelopment, and I’m also counting down the days until I will swim again”.